This Summer Tree unit features 1 bed, 1 bath and very spacious living spaces! The living room features laminate wood flooring. The spacious dining and kitchen areas offer a ceiling fan and wall-ac unit, tile flooring, granite counter tops, tile backsplash, a reverse osmosis system, new dishwasher, newer microwave and electric stove and ample storage. The generous sized bedroom is well appointed with new laminate and a large closet with custom built-ins. 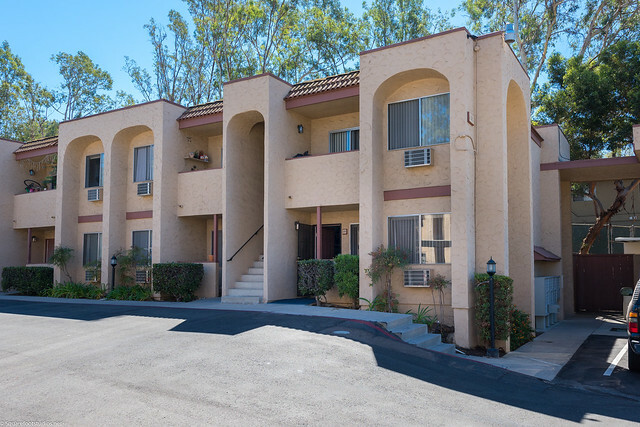 Minutes off 94 freeway, gated & low HOA fees! Andrea is a native San Diegan who is knowledgeable about various areas of the County. Andrea is passionate about helping her client's move through their real estate transactions with ease and brings many years of customer service to the area of real estate. She loves working with first time home buyers, educating them about the home buying process and making sure that they find a home that is a great fit for them.